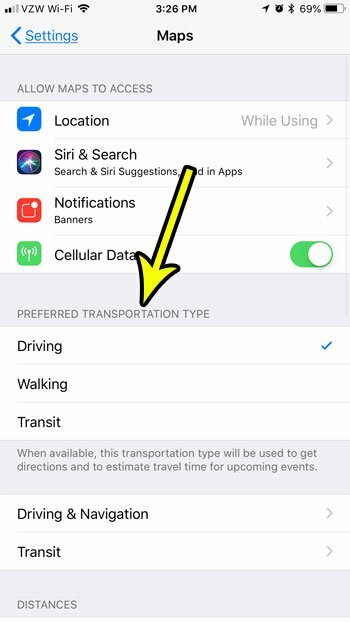 The directions that you get from the Maps app on your iPhone can be customized based on the type of transportation that you will be using. Whether you are going to drive, walk, or take the subway, the directions from point A to point B can be very different. The Maps app will give you directions in the default type of transportation that is set. You are able to change the transportation type, but you might find that it is always, for example, giving you driving directions when you will actually be taking public transportation. Our tutorial below will show you where to find the setting that controls this default choice so that you can select the one that is most appropriate to you. The steps in this article were performed on an iPhone 7 Plus in iOS 11.3. 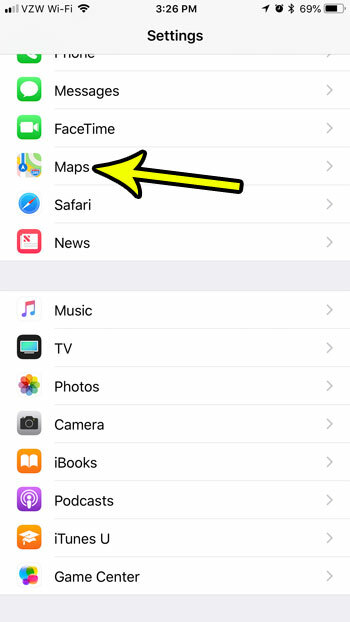 This guide is going to change a setting for the default Maps app on your iPhone. This will not affect any other navigation apps that you may also use, such as Google Maps or Waze. Step 3: Select your preferred method of travel under the Preferred Transportation Type menu. Do you also have an Apple Watch? 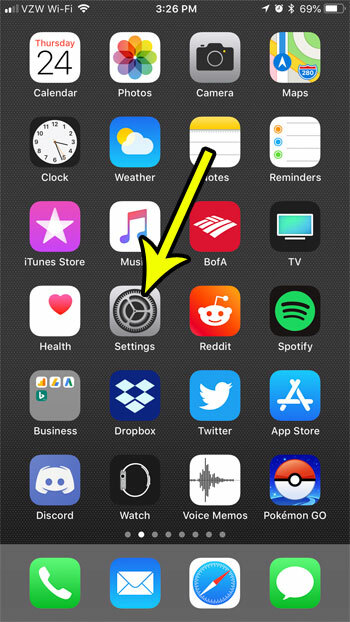 Find out how to disable the turn-by-turn directions on the Watch if you find them to be annoying when you are using your iPhone for navigation.